A warehouse without security is a banquet. In 2017, theft cost the US retail economy $46.8 billion. That staggering amount goes to show the cost of neglecting your business security. But finding the right security company can be a challenge in itself. That’s why we’ve put together these 5 things you need to consider when hiring a security guard agency for your warehouse. A good partner in any business is one that communicates. Your security company should work with you to discuss and establish your needs and, when your security is in place, to keep you apprised of the situation. No two locations are identical, just as no two business are identical. An ideal security company will work in partnership with you to find a solution that works for your company. A few burly men flanking a doorway isn’t a 2019 vision of security. Formal processes and procedures are the cornerstones of an effective modern security operation. They should govern everything from the vetting of warehouse security guards to their deployment and emergency response. Processes are the secret to ensuring consistent and responsive delivery of services. You don’t want to work with a security provider that will go to pieces if a breach should occur. Don’t be afraid to ask what policies your provider has in place for hires, deployment, and crisis response. A modern company also knows the value of technology in warehouse security. There’s a wealth of security tech out there that can make security more comprehensive and counteract similar high-tech security threats. Make sure to ask what kind of equipment and technology your security company can bring to the field. If you’re putting your security into the hands of a third party, you want to know that third party is up to the task. One of the simplest ways to do this is to ensure they’re certified to operate per your local laws, and that its employees have suitable qualifications. A security’s company’s insurance policy will also demonstrate how seriously they take their business. Ask to see their insurance policy so you know that’s both in place and has enough coverage to take care of things should anything occur. Naturally, these points don’t amount to much if the company can’t tie them all together in an effective service package. That’s where two metrics enter the picture: tenure and testimonials. If a security company has a long tenure to their name, then they’re likely to deliver a level of service that, at the very least, keep them in business. It’s not an iron-clad endorsement by itself, but it can help to weed out agencies without much history. Testimonials are the best way to track a security company’s rep. You can often find testimonials on their site, but you may want to go further afield to online review sites like Yelp to get the full picture. 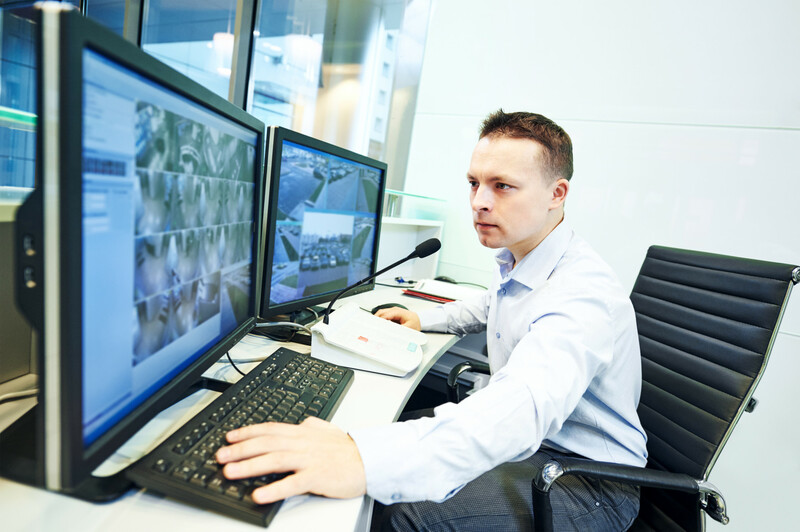 These 5 tips should help you in the search for the perfect security guard agency. When you’ve invested so much time and energy in your business, you should do the same thing to protect, so finding the right agency for you is essential. Looking for more advice on securing your workplace? You can find our workplace safety section here.